Over the years we have tested a lot of chemicals that claim to do a lot of wonderful things. Sadly we have been disappointed many times with these ‘wonder’ treatments and sprays. 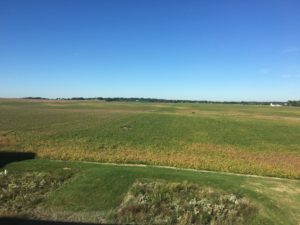 This year we tried Endura, a fungicide for control of White Mold in soybeans. By chance we sprayed it in the one field that we actually had White Mold. Half the field was treated with Endura and the other half left untreated. The results were very stunning – a very clear line between the treated and non-treated ground. While I have not been a big advocate of using fungicide for White Mold control, it is nice to find one that works. There are two reasons I have not supported using fungicide. The first is that White Mold can be a very intermittent issue. Having White Mold every few years makes putting on fungicide economically questionable. The other is that the application of the chemical is very time specific. 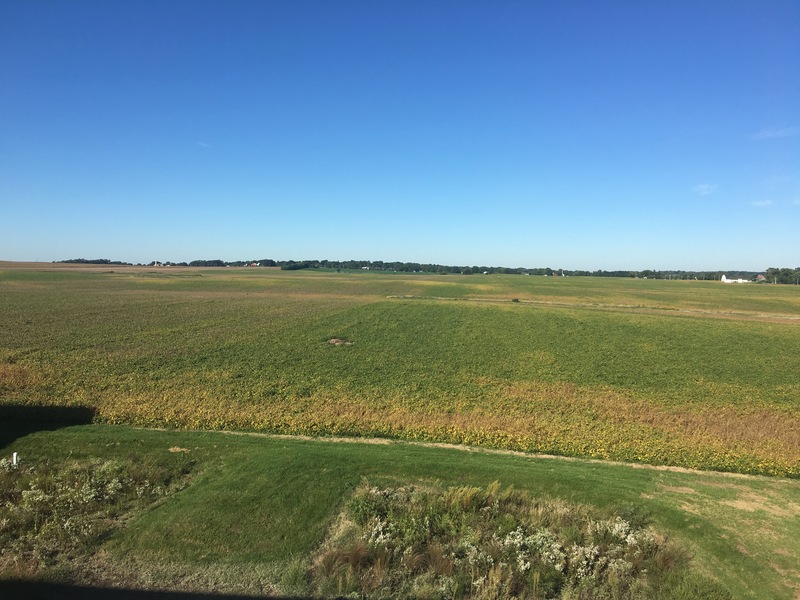 You need to spray when the spores are flying and the soybeans are flowering, and you may also have to do a second application 7 days after the first application. I would consider using a foliar fungicide only in fields with a consistent history of White Mold and when conditions are conducive to infection (cool and wet in late June through mid-July).